The PYP section have identified reading as key area for development in 2018-19. This is supported not only in the regular homeroom classes but also in our Home Learning Protocol and through “buddy reading” initiatives. As part of the Service and Action component of the IBMYP, the students of MYP 1,2 & 3 have extended their understanding and have used their learner profile attributes to interact with the students of the early years and the lower primary. 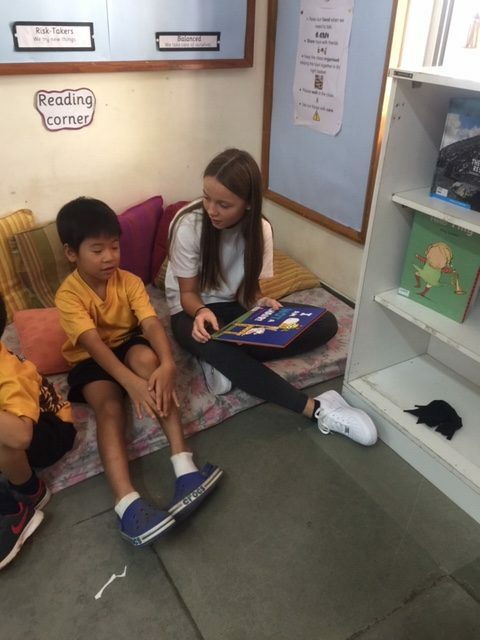 Over the past couple of weeks, the MYP students have visited Pre-School 1, 2 & 3 and the PYP 1 classes. The intention was to interact with the students, read to them, get them to read and generally be a buddy. From the MYP standpoint, the objective was to actually learn by doing (Taking Action). The MYP students have reflected very positively and are excited to visit again because while they are reaching out to the younger students, they are discovering many new things about themselves. They are striving to be caring members of the community who demonstrate a personal commitment to service and act to make a positive difference to the lives of others, through responsible action. The MYP 3 will be working on literature circles with PYP 4 from next week and through semester 2. 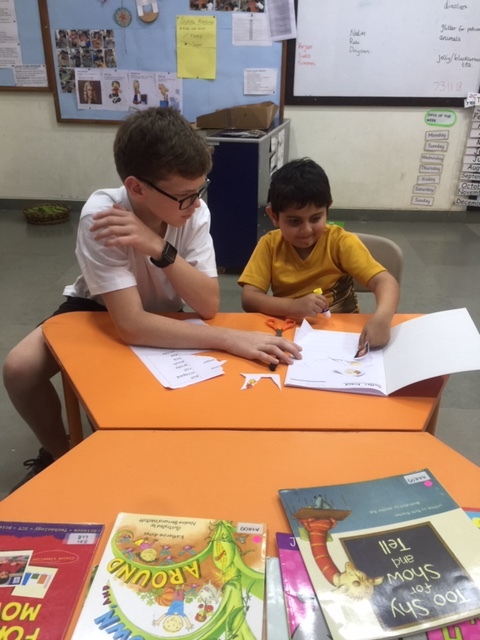 The PYP 5 have also begun a buddy reading initiative with the PYP 1 students; they are taking action and sharing their expertise with others. Some of the reading is happening in student’s mother tongue language, a strong example of how MBIS embraces mother tongue development and celebrates the diversity of our community. The initiative is aimed at not only engaging the learners in shared reading experiences but also fostering a love of reading in our younger students. 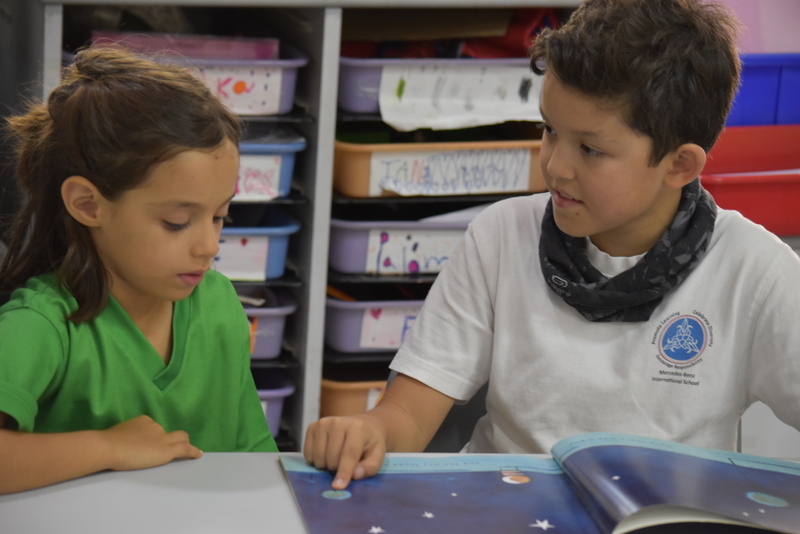 The PYP 5 as avid reading role models will no doubt positively influence the attitude of the younger learners. The teachers are promoting reading too of course and there are opportunities for all the students to be read to, to read themselves, to echo read and to group read. Many of you will have noticed that in our reception area we now have a number of books, some are focused on the role a parent can play in the learning development of their child, while others are to read aloud to the younger students. Please do engage with the books and if you would like to check on out to take home then visit either Library to do so. 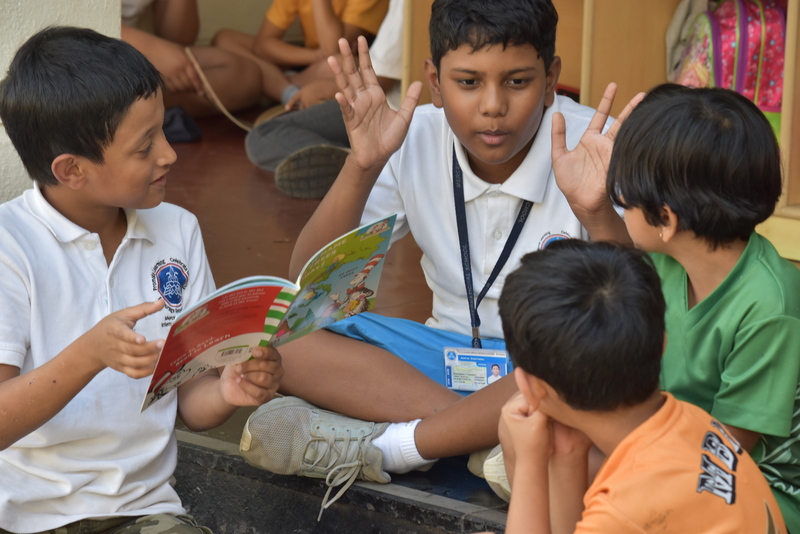 We would like to remind all parents as members of the MBIS community you have access to our primary and secondary and may check out books to read at home. As the holidays approach why not think about a family reading time daily, this could be: individual reading, DEAR- drop everything and read, read alouds, shared reading etc and of course it can be in any language and using both physical and on-line books. There maybe time to visit a library on your travels or a bookstore too.